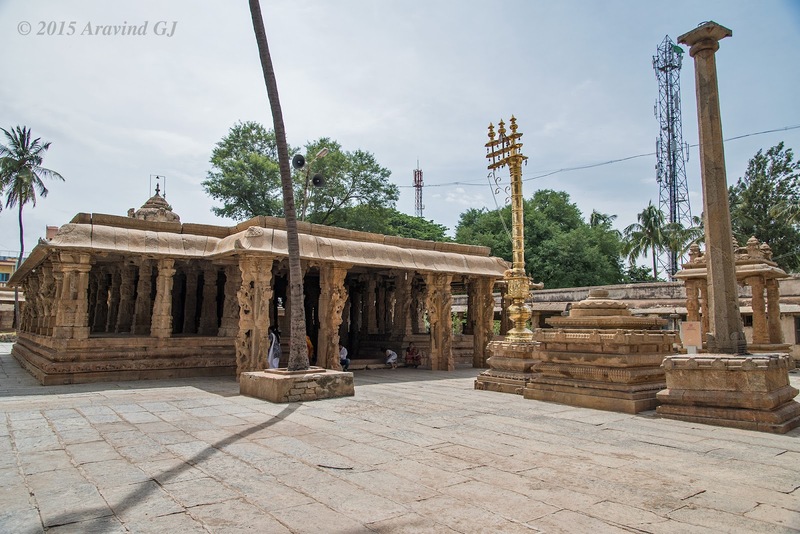 This Temple is located very near to Kolaramma temple. 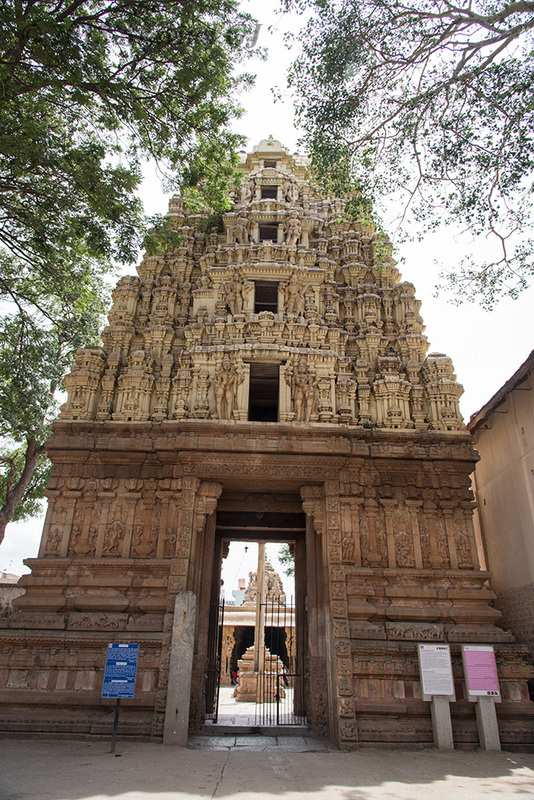 Compared to Kolaramma temple, Someshwara temple is bigger and newer. 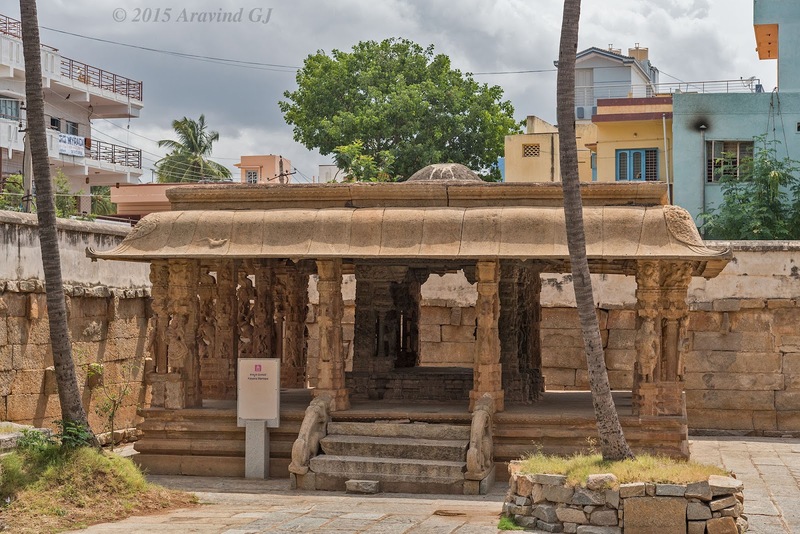 It is said to be built in 14th century during Vijayanagara rule with Dravidian style. 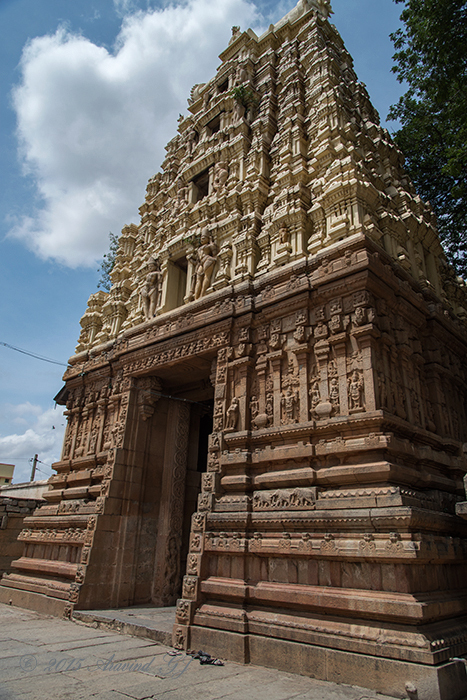 An interesting aspect of this Temple is its tall gopura over the main entrance. The tower is constructed with bricks and stucco. 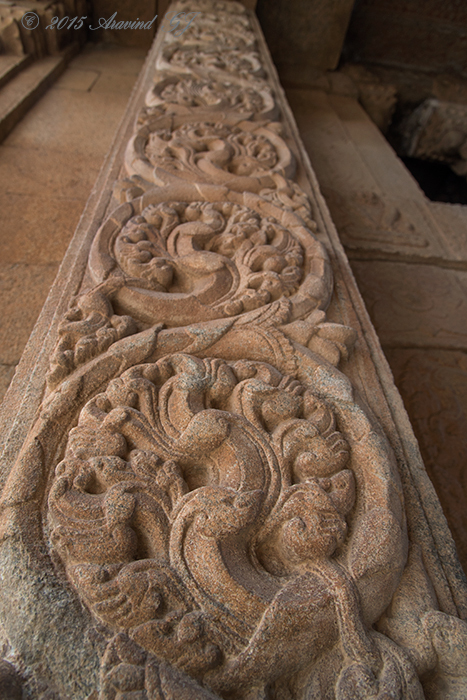 The walls at the entrance have nice sculptures which look very similar to the one at Kolaramma Temple. 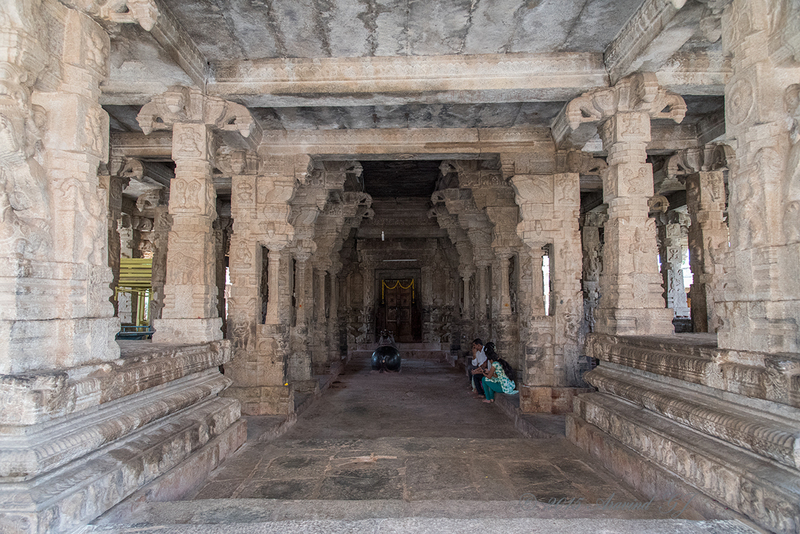 The temple has large open pillared hall that leads to the sanctum. 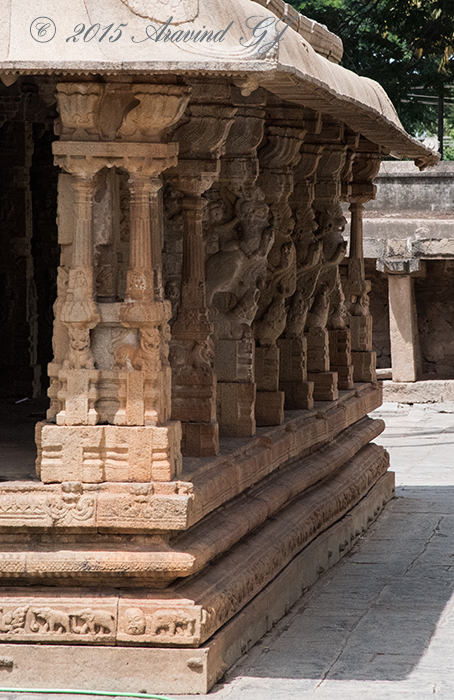 The hall is surrounded by raised floor. 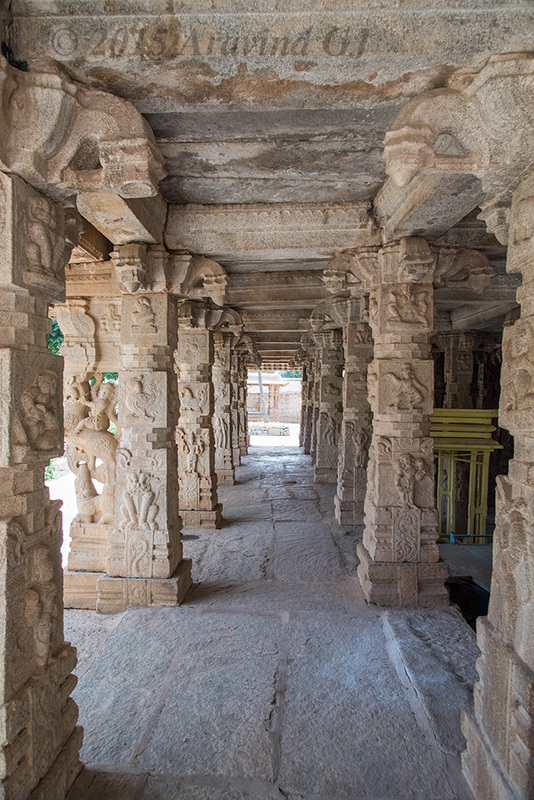 Look at the pillars of the hall. They look amazing. 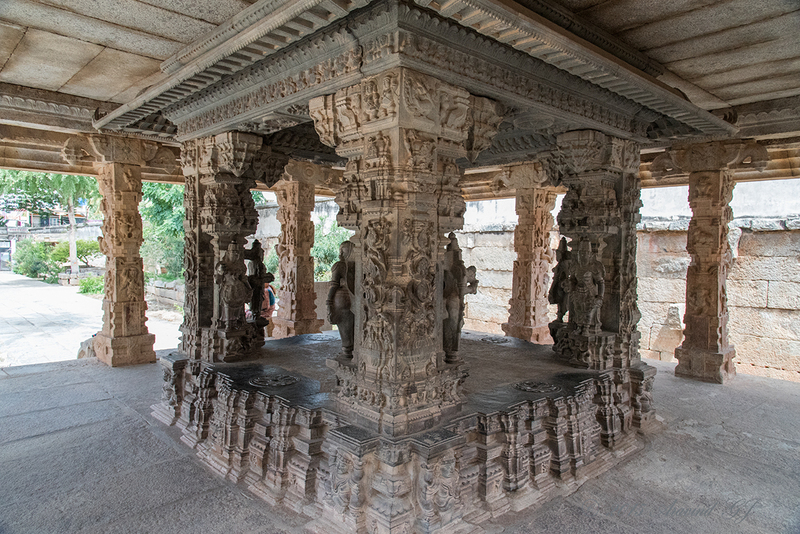 At one corner of the complex is the ornate Kalyana Mantapa with decorative pillars. It was so peaceful there prompting us to spend a long time. 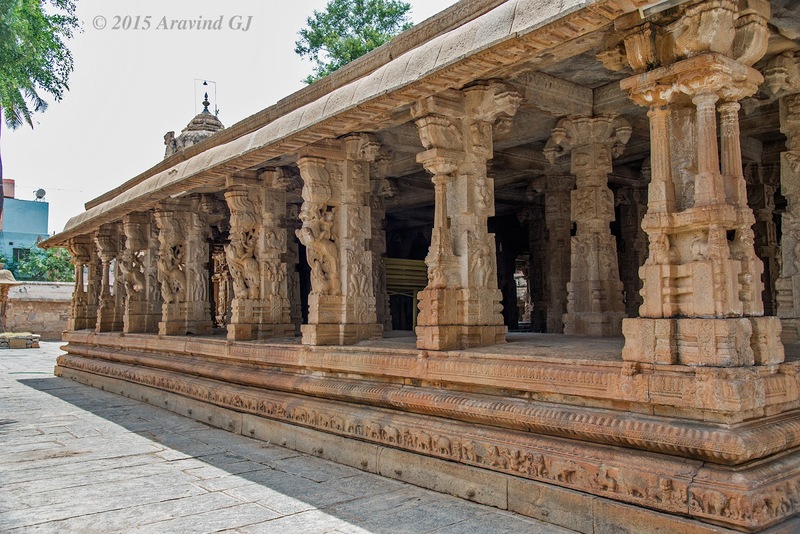 A place not to be missed while visiting Kolar.